Before looking at the specific techniques that make up a Chakra Balancing Massage, it is important to first explore (or review) the chakras, an essential part of the 5,000-year-old system of ayurveda that originated in ancient India. The chakra system is an energy system we can use for personal growth. Ayurvedic tradition recognizes seven main chakras, which are junctions between consciousness (mind) and matter (body) and which link the various aspects of what makes us human: our physical, energetic, emotional, mental, social, and spiritual selves. When we focus on the chakras, we can connect to these aspects and move toward balance, health, and well-being. Even though some people have a hard time with the concept of chakras, it is a commonly used system. Have you ever been heartbroken? What does that mean? Is your heart actually broken? Of course not. But when you experience an emotional hardship in connection to a relationship or friendship, you feel a pain in the heart area. Instead of feeling a broken heart, you are actually experiencing the energy of the heart chakra. The chakra system is located in the core of our being, in a channel that encompasses the spine and includes the tailbone to the crown of the head, as well as the nerve bundles associated with each individual chakra. This channel is called the sushumna nadi and the energy that flows through the chakras is called kundalini. Energy flows up the sushumna nadi from the first chakra at the sacrum up the spine and out the seventh chakra at the crown of the head. This ascending current is the flow of energy that takes us from the physical level of being, through our mind and emotions, and connects us to the larger universe. The ascending flow is about finding a deeper meaning and purpose to your life. Kundalini energy also flows into the seventh chakra at the crown of the head and moves down the sushumna nadi to the first chakra. This descending or manifesting current of energy moves us from the world of mind and spirit and helps us manifest ideas into the physical world. Anytime you help manifest something in your life, you are using the manifesting flow. For example, at some point in time you thought, "I want to be a massage therapist." You took that idea, researched and chose a school, rearranged your schedule, found financing, and then studied and participated in the program to make that initial thought a reality. This is using the manifesting descending flow of energy in the chakras. When working with chakras, think of health as being on a continuum. Depending on your diet, exercise, stress levels, emotional states, and many other factors, you are either moving toward greater health or away from it. It is similar with chakras. "Closed" or "imbalanced" qualities of the chakras are on one end of a health continuum and "open" or "balanced" qualities are on the other end. Depending on your lifestyle, you are either moving toward greater awareness and balance within the chakras or away from it. Each chakra relates to a different aspect of life and by focusing on that chakra you can become more aware of those issues in yourself and then work with them to achieve greater health and happiness. The traditional name for the first chakra is muladhara, which means the "root." This chakra, at the base of the spine at the sacrum, is the foundation of the entire system. It relates to our basic needs and our sense of security and survival. When a baby is born, the first few weeks relate to the first chakra as the child adjusts to its environment. When you travel to an unknown place, you might have first chakra issues as you no longer have the same sense of security as when you are in your own environment. Focus on the first chakra whenever you are stressed, traveling, juggling too many things, feeling overwhelmed, or just need a sense of security or groundedness. The pleasure chakra is called svadhisthana, which means "sweetness." It is located a few fingers' width inferior to the navel. After your basic needs are met, you can move out into the world to explore with the five senses. Through these senses, we bring nourishment and vitality to ourselves. Once a baby has settled after the first few weeks and months, he moves into second chakra mode, exploring the world around him. His eyes begin to focus, he starts to touch and pick up objects, and he responds to sounds from his parents. The power center is called manipura, which means "lustrous gem." Located in the solar plexus superior to the navel, this is where we establish our identity and what we want to do with our life. If your actions in life do not match your intentions for your life, you feel it in your gut. However, if you can align your intentions with your actions, you establish a strong sense of identity. You will be confident and will interact with others in a different way. College students are dealing often with third chakra issues. With babies, the "terrible twos" relates to this chakra. In their second year, babies learn the word "no" and begin to recognize and act on their own desires. They are establishing their unique identity separate from their parents. The heart center is called anahata and is in the center of the chest. When translated, anahata means "the sound which issues without the striking of any two things together." The heart chakra relates to everything one stereotypically associates with the heart: love, compassion, sympathy, empathy, and relationships. For a 2-year-old, it is hard to see outside their own point of view as they have not learned the concept of other. At around 3-4 years old, a child moves into the heart chakra and begins to grasp the concept of other. At that point, he begins to feel compassion and sympathy. The throat center is traditionally called visuddha, which means "free from impurities." Located at the throat, this is our center of expression and communication. If you are not saying the things you need to say, you might feel "choked up." As you learn to communicate effectively, this allows creativity to thrive. This is a useful center on which massage therapists should focus. One of the most difficult aspects of being a therapist has little to do with actually giving a massage; it's learning to effectively and efficiently communicate with clients. The third eye chakra is called ajna, which means "communication from above." Found between the eyebrows, this chakra is the center of imagination, intuition, and perception. When you let go of thoughts that are holding you back and instead let your imagination roam free, you are connecting to your sixth chakra. Any intuitive feelings you have, as well as your ability to read between the lines and understand nonverbal communication, arise from the sixth chakra. The crown center is called sahasrara, which means "thousand petaled." Located at the crown of the head, the seventh chakra relates to wisdom and enlightenment. The seventh chakra, sometimes called the "master chakra," brings purpose and meaning to you and the other chakras. If the third chakra is about what you want to do with life, the seventh chakra is why you want to do it. The crown center helps you connect to a higher purpose and something greater than yourself. When you connect to this center, you connect to a sense of joy or bliss that is not related to a specific person or event but is rather connecting to the joy of the universe. With a basic understanding of the chakras, our focus can turn to the Chakra Balancing Massage. Even though a variety of techniques are used within this Aveda protocol, the intention of them all is to help clients focus and connect to their chakras. The first step in a Chakra Balancing Massage is deep-tissue massage on the back, in particular focusing on the three erector spinae muscles and the gluteus medius. Deep-tissue work is not necessarily deep; it is specific and slow. The intent is to massage a specific muscle in a slow, focused manner using either a lengthening stroke (with the muscle fibers), or a broadening stroke (across the muscle fibers). When doing deep-tissue work, one of the biggest benefits is the focus on connective tissue or fascia. Research suggests that the wiring of the energy flow in the body--whether we're talking about the meridians in Chinese medicine or the srotas in ayurvedic philosophy--is the connective tissue. If fascia is the conduit through which energy flows, then we can focus on the erector spinae muscles with the intent to work with the chakra energy. Perform lengthening strokes on the spinalis, longissimus, and the iliocostalis muscles, as well as broadening strokes on the longissimus. In addition, perform a broadening stroke on the gluteus medius to open the energy flow that connects the first chakra's energy down the legs. The second technique within the protocol is a chakra foot reflexology massage reflected in the images here. The reflexology procedure focuses on two aspects of the chakras: the physical location of the chakra and the endocrine gland that is associated with each chakra by related function or close proximity. The physical locations are along the spinal and head reflex points on the foot. The first chakra is located at the sacrum so the first chakra reflex is found on the sacral reflex on the foot. The second chakra is on L3, the third chakra is on T8, the fourth chakra is on T4, the fifth chakra is on C4, the sixth chakra is between the eyebrows and can be found on the proximal portion of the sole of the big toe, and the seventh chakra reflex is found on the distal portion of the big toe. In addition, each chakra is associated with major endocrine glands. There are a few other points that connect to the chakras as well. The sciatic nerve connects with the first chakra (think of a root to connect the root chakra from the spine down the legs to the feet and earth), the uterus/prostrate connects to the second chakra, the solar plexus point connects to the third chakra, and the heart reflex connects to the fourth chakra. The third technique utilized in the Chakra Balancing Massage is chakra energy work. The focus of the energy work is a light touch over the chakras while concentrating on intention. When working with the chakras, the most important aspect is not your technique, but your intention and connection with the client. In order to enhance the effects, guide your client through a visualization technique as you perform the work on each chakra. The visualization will focus on two aspects to work with the left (logical, analytic) and right (intuitive, visual) sides of the brain. Have the client repeat the meditative word (see Chakra Characteristics on page 47) for the chakra (left brain) and visualize a spinning wheel of colored energy at the location of each chakra (right brain). For example, for the first chakra, have clients repeat the word groundingsilently to themselves while visualizing a red spinning wheel of energy at the base of the spine. This visualization helps the client receive more benefit from touch by focusing the mind during the treatment. When offering energy work, start by gently placing your hands over each chakra area and sense the energy flowing around the chakra. Trust your intuition and allow your hand to move in any direction you feel. The chakras can spin either clockwise or counterclockwise, so whichever direction you sense the energy flowing, encourage this motion. As a therapist, you may also repeat the meditative word silently to yourself and visualize the colors of the chakras as you work to focus your intention. Energy work is best performed in silence. Silence allows for greater concentration on the subtle flow of energy. Listening with your hands is important. Energy work is more about feeling what is occurring, as opposed to doing something to somebody. Breathing is an essential aspect of the work. Be sure that your own breathing is focused, yet relaxed, while also instructing the client on diaphragmatic breathing. To begin, stand on the left side of your prone client. Place your right hand over the first chakra and your left hand over the fifth chakra. Focus your intent for the work and connect to the client before beginning the individual chakra energy work. For best results, divide up the energy work throughout the session. For example, after the deep-tissue massage and while the guest is prone, perform the energy work on chakras 1, 4, and 5. After the reflexology, when the guest is supine, focus on chakras 2, 3, 6, and 7. Throughout the course of the Chakra Balancing Massage, feel free to incorporate other elements to enhance the experience, including essential oils, breath exercises, aromatic steam towels, and scalp massage. 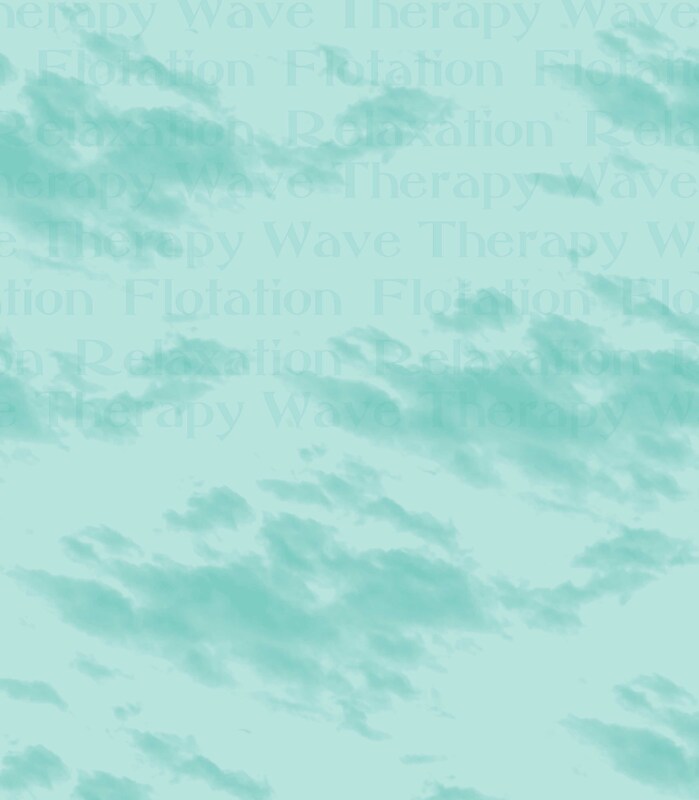 At the end of the treatment, give the client a meditation practice that can be used any time she is feeling stressed or needs to take some time to herself (see Chakra Balancing Meditation at left). This Chakra Balancing Massage incorporates the chakras through a variety of techniques. Some of these techniques are familiar to the client, while others provide an opportunity to introduce something new. The combination of the techniques can leave your clients feeling relaxed, focused, and ready to book their next experience.